Prices accommodations are per unit. Prices exclude local taxes and reservation costs. The Bungalow tent of the Ottawa type is ideal for anyone who wants to camp, but does not have its own camping facility. These spacious tents were newly placed in 2013 and sleep 4 adults + 2 children. 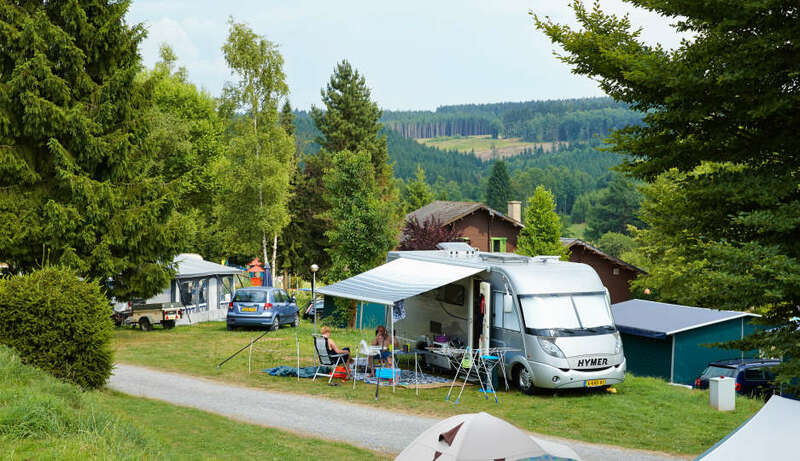 If you hire a caravan, tent or chalet at Camping Petite Suisse you do not need to bring any linen. However, renting a linen package is required, with an additional cost of € 7.50 per person. The bed linen is provided upon arrival in your accommodation. Optionally, you can hire a towel set, kitchen set, cot and high chair.